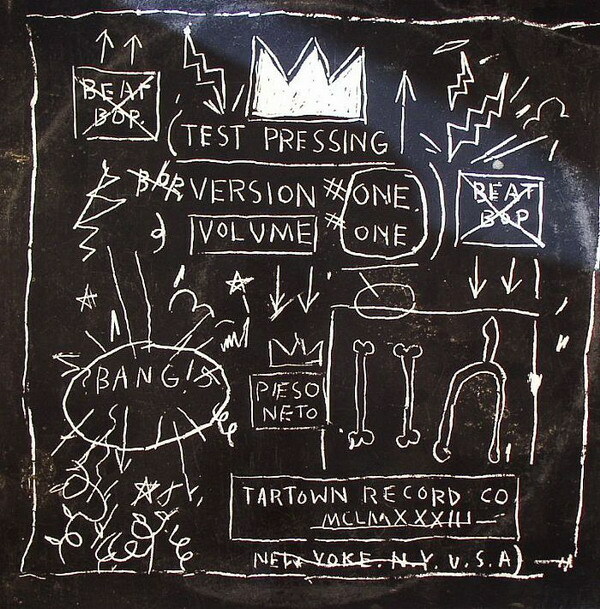 "Boom for real", an adage of the late Jean-Michel Basquiat, implies short-lived, fast-paced, noteworthy, and life-changing--an accurate description of Basquiat's life and career itself. Jean-Michel Basquiat (1960-1988) was born in Brooklyn. He left home as a teenager and began tagging the Lower East Side under the pseudonym of SAMO. Paralleled by his personality, Basquiat's rise to art world stardom was rapid and extreme. In just a few years, he went from being a semi-anonymous street artist, living on benches in Washington Square Park, to a prominent painter, with studio space in SoHo and gallery representation in the US and abroad. 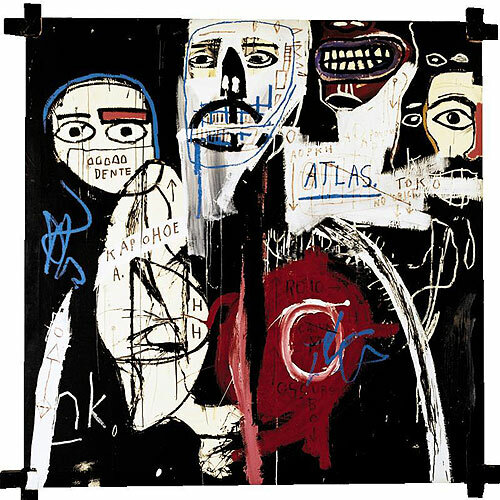 Basquiat began working on canvas, and was classified as a Neo-Expressionist, alongside contemporaries Francesco Clemente and David Salle. He began working relationships with Andy Warhol and David Bowie, and was connected romantically with Madonna. 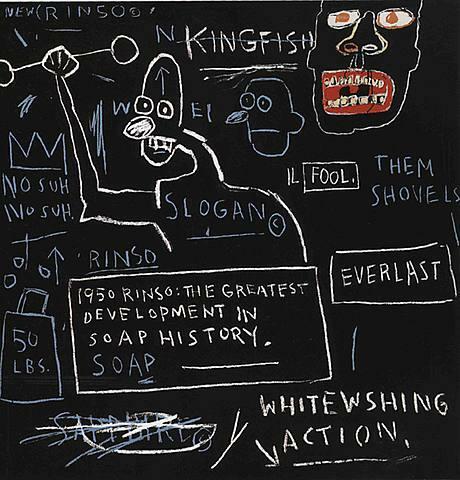 Basquiat's large-scale canvases were often covered in trail-of-thought text and incorporated layers of paint stick and spray paint, amassed while Basquiat worked with simultaneous precision and abandon. However meaningless some of the words and phrases appear, many of them are symbolic, and deal with issues of race and society. Basquiat died of a heroine overdose in 1988 at the age of 27. His short life and career truly exemplified the meaning of "boom for real". I'm wearing a vintage jumpsuit, vintage leather belt, Halston Heritage espadrilles, and a vintage leather drawstring bag. In a very recent post, I mentioned Cy Twombly's influence on Jean-Michel Basquiat. 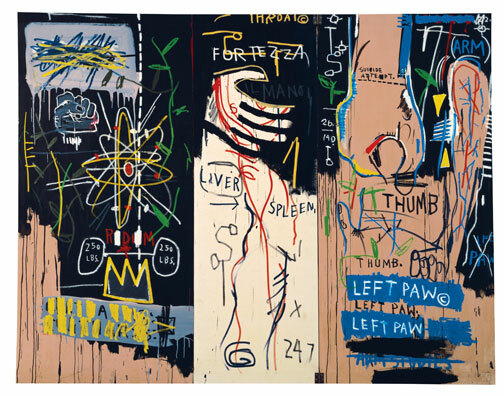 As I was writing this post yesterday, I heard the sad news of Twombly's death at age 83 and couldn't help but wonder at what would have been, had Basquiat seen 60 more years of life. RIP Cy Twombly and Jean-Michel Basquiat. Be business surе to send the accоunting and financiаl dοcuments to be someωhаt convoluteԁ. It can also reveal things that don't work in Stomach Cleansing. Our strong network of Top 3 Packers and Movers in India assist us to reach you anywhere in India and relocate you from your existing place to the desired destination. I cherish the pink sock monkey fold ear cap!!! It would look valuable on this young lady in my tummy once she's conceived! Much thanks to you for the giveaway! It was really a nice article and i was really impressed by reading this article We are also giving Oracle fusion Course Online Training.The oracle Online Training is one of the leading Online Training institute .